Hyundais in general and the i20 in particular come with a rather well-developed and well-deserved reputation for unprecedented feature loading at a reasonable price. The Elite i20 is the all-new hatchback that really ups the ante in the premium hatchback space. Its design is classically European while the new chassis proves capable of taking on corners hard as well as potholes. A spacious, well-designed, luxurious cabin rounds out an absolutely killer package that we knew from the start would be amongst the most persuasive when it came time to find our Car Of The Year. When the Elite i20 went into the jury round, the competition was varied and strong but it stood its ground rather well. The jury loved how capable and fun the Elite i20 proved to be on the racetrack, a new addition to the range of abilities the Hyundai already got points for. When the dust settled, the Hyundai Elite i20 went on to be not only India's top premium hatchback right now, but also our Car Of The Year. Passenger car vehicles that were launched in 2014 were eligible for the OVERDRIVE awards 2015, and each car that was to be evaluated in the main categories of the awards was judged on the basis of build quality, ride and handling, styling (exterior and interior), value for money and affordability, engine and transmission and fuel efficiency. The cars were driven by our esteemed jury : Asia Pacific Rally Champion, Gaurav Gill; five time national rally champion, Hari Singh; OVERDRIVE editor-in-chief, Bertrand D'souza; OVERDRIVE consulting editor, Bob Rupani and OVERDRIVE road test editor, Halley Prabhakar. All the nominees were taken to the Chennai racetrack and tested on the above parameters by our esteemed jury members for two days. While the jury members came away impressed with most of the contenders, they were more taken in by some cars than the others. 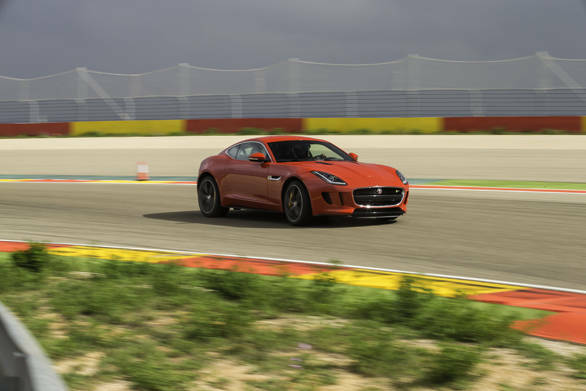 The jury adjudged the Jaguar F-Type Coupe the Performance Car Of The Year. 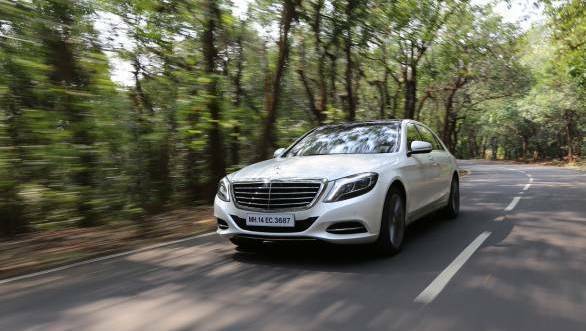 While the special awards for Import SUV Of The Year and Import Car Of The Year went to the Mercedes and Mercedes respectively. 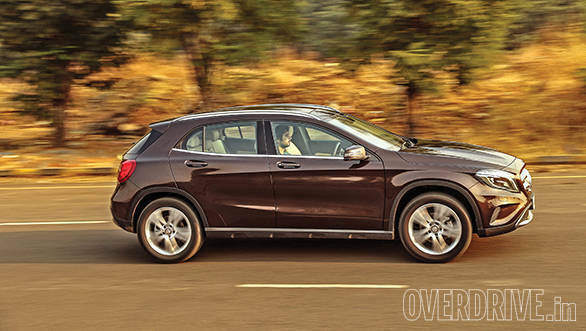 The award for the Executive Premium Car Of The Year went to the Mercedes, which is no surprise really. While the new Toyota bagged the award for Sedan Of The Year. 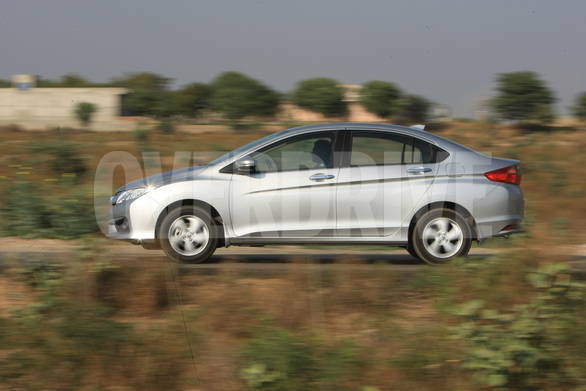 The MUV Of The Year award went to the Honda. 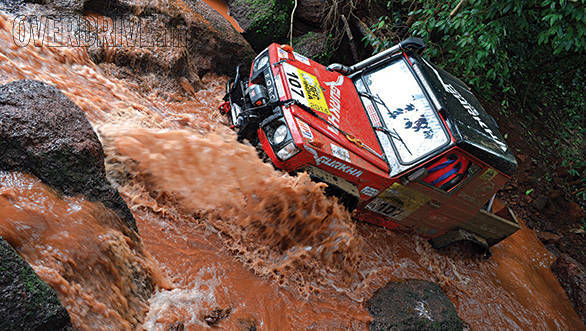 Our Motorsport Award for the year went to Cougar Motorsport for their vision in bringing down and successfully executing one of the most challenging motorsport events in the world - the Rainforest Challenge. There were other awards too. The Audi A3 bagged the Viewer's Choice Car Of The Year trophy. While the Honda, that reliable workhorse from the Japanese manufacturer, bagged the OVERDRIVE Hall Of Fame award. So also did the Force Motors Tempo Traveller, which really and truly also is a workhorse, of a rather different kind, of course. But the OVERDRIVE awards aren't merely about just cars. Instead we truly believe in focusing on the more minute but significant components that go into ensuring that the driving experience is truly complete. The Engine Of The Year award for car went to the Tata Revotron, while the Automated by Magnetti Marelli won the Technology Of The Year award. Our Product Of The Year award went to Harman Infotainment System that was designed for the Tata. And, seeing as 2014 was such a big year for Maruti Suzuki India, with the manufacturer launching a whole new range of products including three all-new cars, it rightly won the Four-Wheeler Manufacturer Of The Year award. 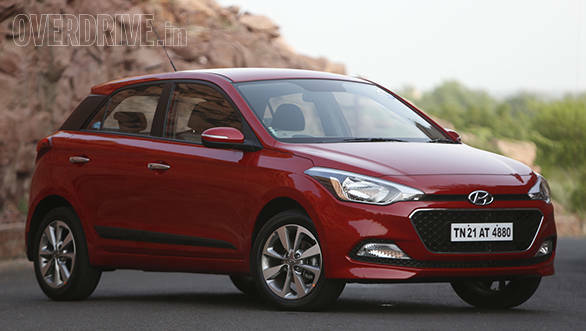 Want to know what contenders the Elite i20 was pitted against for the 2015 OVERDRIVE CNBC TV18 Car Of The Year award? Our jury walks you through the nominees for 2014.